The central nervous system, consisting of brain and spinal cord, represents the most complex of all human organs. It resides in a highly protected environment, surrounded by a cushion of cerebrospinal fluid (CSF) and encased within the bony calvarium and vertebral column. Ten million input neurons feed sensory information to it; a half million output neurons extend from it to provide neuronal control over all the body's muscles and glands. However, the overwhelming majority of nerve cells in the body, roughly 20 billion, reside entirely within the brain proper and provide computational links between sensory and motor pathways. Together these neuronal circuits constantly monitor the internal and external environment, store and recall motor and sensory data, and send out a continual flow of messages that allows the body to maintain vegetative functions and respond to changes in the environment. Unlike computer circuits, which contain only a handful of different elements, the human nervous system operates with a highly diverse set of elements represented by 50 million distinct types of nerve cells. The identity of each neuronal cell type is established by its specific pre- and postsynaptic partners and its relative position within a specified neuronal pathway; its molecular makeup, including the nature of the neurotransmitters it releases and to which it responds; and its electrophysiologic properties. For this reason, the study of the nervous system and the treatment of neuronal disorders requires a highly interdisciplinary approach, including anatomic, biochemical, and electrophysiologic techniques. An understanding of neuroanatomy provides the basis for correlating a patient's functional loss with the specific location of the causative lesion within the affected neuronal pathway. 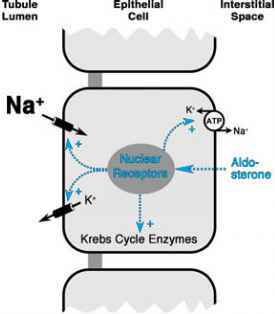 Likewise, knowledge of neurotransmitter metabolism is a prerequisite for developing neuropharmacologic treatments for disease states such as Parkinsonism and Alzheimer's disease. Electrophysiologic analyses, such as the electroencephalogram (EEC), help establish the parameters for determining appropriate treatment for epilepsy or for sleep disorders.